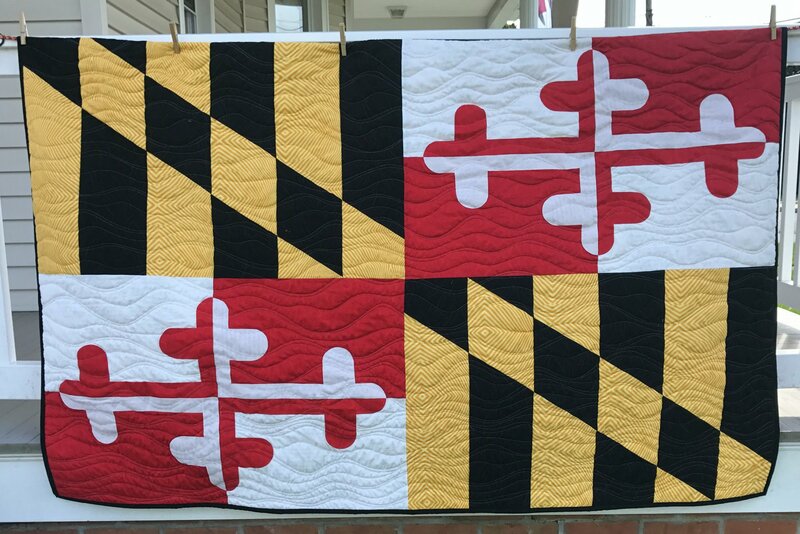 Throw Size 47" x 72"
Wall Hanging 16" x 24"
Marylander's are very passionate about their state flag. Now you have the opportunity to create one that you can snuggle under, hang on the wall, or use as a table runner. This easy to read detailed pattern includes directions for a large throw size quilt and a small wall hanging.